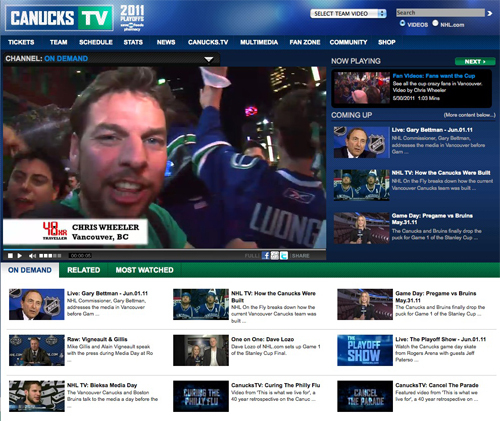 Vancouver Celebrates Canucks Advancing to Stanley Cup Final! Downtown Vancouver celebrates the Canucks advancing to the NHL’s Stanley Cup Final! 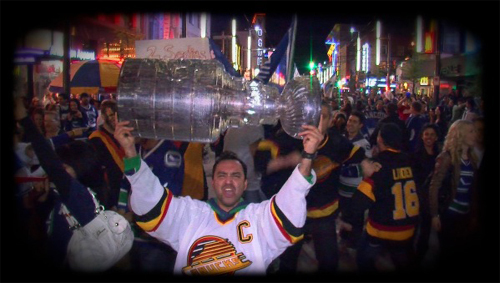 This 48 Hour Traveller Trip Clip gives you a taste of the party on packed Granville Street after the Canucks defeated the San Jose Sharks! We want the Cup! The streets were jam packed with Canuck fans and the atmosphere was similar to the Olympic Spirit when Canada won gold (see Gold Celebration Video).